Depending on who you ask, putting is a simple matter of mechanics or a reason-defying art. Pros and amateurs alike struggle to find a consistent technique that will get the ball into the hole. 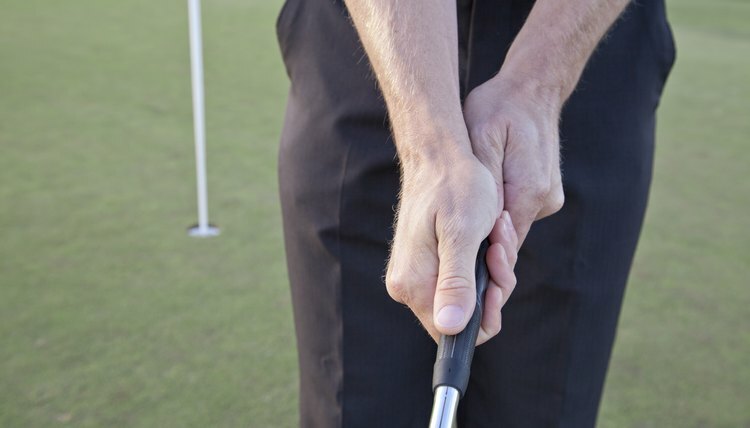 When they tinker with their stroke, it's the putting grip that they most often change. 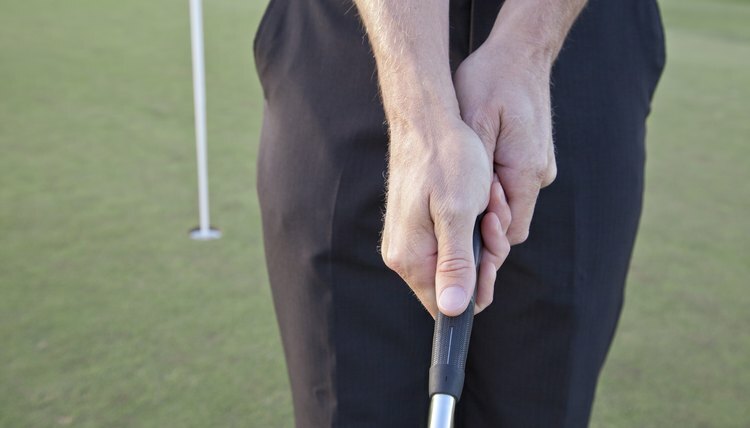 Still, there are only so many ways to change the way you hold your putter. 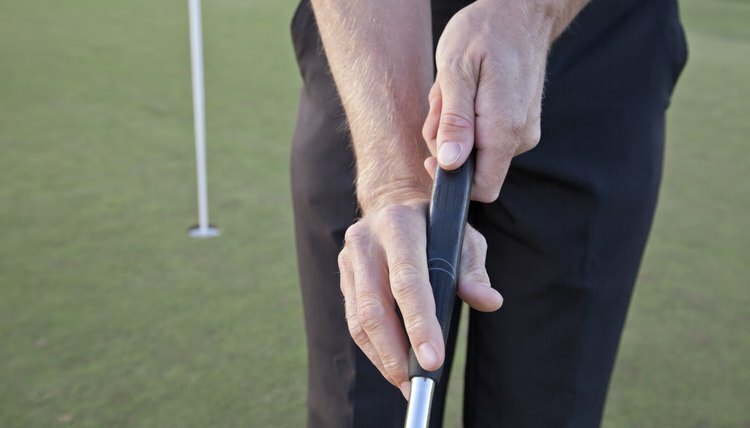 The reverse-overlap grip is the classic method of gripping a putter. In this grip, all the fingers of the right hand -- for a right-handed player -- grip the club. The forefinger of the left hand overlaps one, two, or three of the right hand fingers. This grip was developed decades ago when greens were rougher and players desired more of a popping action. 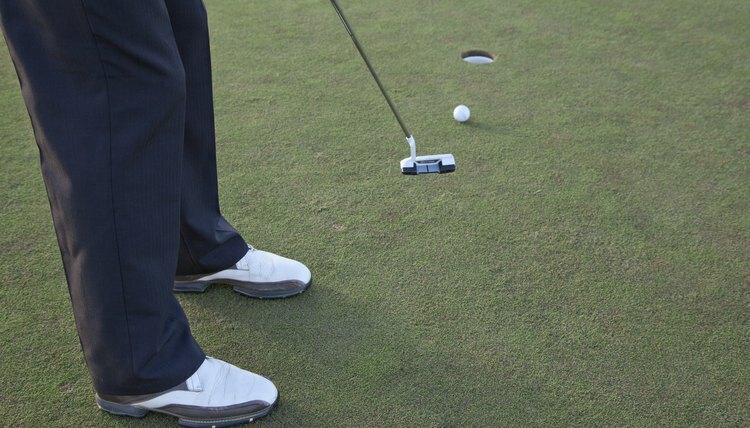 It's still the most popular way to grip a putter. Historically, the crosshand grip, also known as the "left-hand low" grip, is one of the most popular alternatives to the reverse-overlap grip. Simply enough, the positions of the hands are reversed -- the left hand is moved to the low position on the grip. Not only does this reduce wrist hinging, but also it lowers the left shoulder during setup. This levels the shoulders so it's easier to keep the club moving past impact with the ball. Many players believe it makes them more accurate. The claw is a form of split grip, where the hands are not interlocked but all the fingers of both hands are on the club. The original claw grip is usually attributed to PGA Tour player Chris DiMarco, although DiMarco credits fellow professional Skip Kendall. In the claw, the left hand grips the club normally but the right hand is rotated so the right thumb is under the grip, closer to the player's legs. The right-hand fingers don't close around the club, but simply form a "notch" into which the club's cushioned grip fits. The right wrist's movement is limited by positioning the fingers this way, preventing the left wrist from cupping or "breaking down" at impact. Although the reverse-overlap, crosshand and claw are the most common grips, they certainly don't exhaust the possibilities. You can, for example, see several versions of the claw being used on the PGA Tour. Many players use a claw-style grip with long putters, with one hand anchoring the end of the putter to the player's chest and the other hand forming the claw about halfway down the shaft. There are many types of split grips, most of which resemble a standard 10-finger or "baseball" grip, but with the hands separated by up to three inches. And some players even use their regular full swing grips. In an interview during the 2011 Chevron World Challenge, Tiger Woods referred to Steve Stricker using his regular overlap grip when he putts, and you can see this if you watch him closely. What should this variety of grips teach you? Simply that your actual grip is less important than how you use it. As long as your grip suits you, a good setup and a relaxed motion are the most important variables in putting. What Are the Advantages of Using the Interlocking Golf Grip? What Is a Strong Grip in Golf? How Important Is a Grip in Golf? 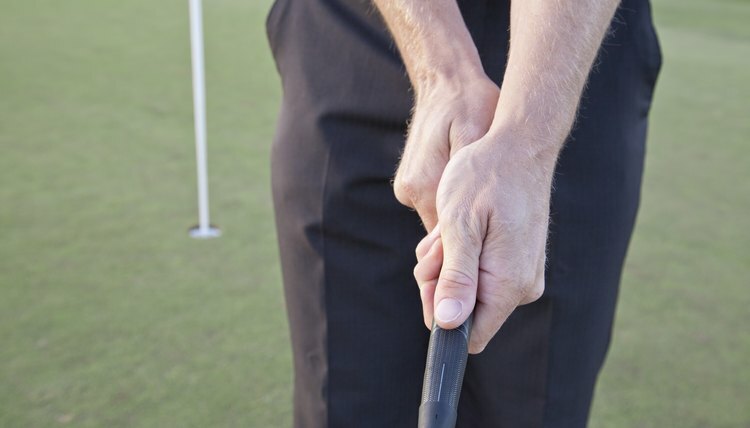 What Are the Benefits of the Double Overlap Golf Grip?